The University Specialises in practical, Industry-based learning designed to improve their skills and direct experience that makes employers get hike. The university offers live online interaction services to the students to contentment learning through correspondence means. The university aim to do everything they can to support the students during their journey through university and beyond. A variety of support services are available to students including inexpensive study, learning advice, disability support and finance assistance. The campuses are perpetually evolving to meet the demands of modern study. 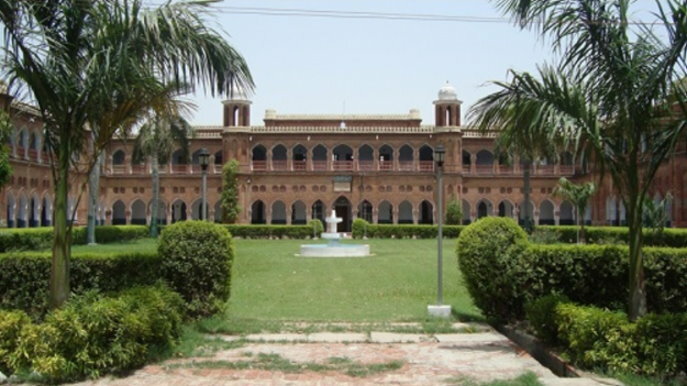 Studying in AMU is a transformative experience that will see you exposed to new people, places and ideas. To pursue these distance courses the students must be graduated from a recognised board and the selection process is merit based. For UG courses the equivalent examination the marks should not be less than 55%. And for PG courses in any discipline it must be min score of 50%. The PG courses fee structure my raise up to maximum INR 5,500 whereas, for PG course the fee structure may vary up to maximum INR 9,500 for full course. The duration period for PG is 1 year or 2 years and Duration period for UG is 3 years. PGD in Guidance and Counselling. Also there are courses for the required students for required streams like MA in Psychology, B.LIB.I.SC, B.Com, BA, M.Com. I want take admission in aum b.tech learning courses? What is the last date for application for distance learning?? Admission date, place,fees and scholarships? Write Your Reviews on "Aligarh Muslim University Distance Learning"
Are you Interested inAligarh Muslim University Distance Learning"? Please provide the following details. Ask Question on "Aligarh Muslim University Distance Learning"?